Why is internet.org so important to Facebook, is the question. Mark: "One thing that I think it's easy to take for granted is that most people in the world don't have access to the internet at all. It's about 2.7 billion people now and it's actually growing a lot slower than you'd imagine." He's saying that it's untrue that the expansion of smartphones will spread internet connectivity. He's saying that you can easily spend $1,500 a year on a data plan, which is far too expensive for many developing nations. "We took a step back and decided what problem in the world can we try to fix next. Our vision in the world isn't try to connect one seventh of the world, it's to connect the whole world." "It's not that connectivity is an end in and of itself, it's what connectivity brings." Mark's citing a Deloitte study that finds that if you increase connectivity, you can create hundreds of millions of jobs and even decrease child mortality rates by 7%. Mark: "It's a coalition that's working together to make delivering the internet more efficient." Basically, working to decrease costs and make it easier to spread the internet, increasing profitability and therefore increasing the expansion rate. "People talk about satellites and balloons and these pieces of technology, and it's true that that's going to be necessary for people who live in really remote areas. But if you don't have internet for the next few billion, there are a few reasons." First is affordability. It needs to get a lot cheaper, he's saying on the order "one or two or three" dollars. 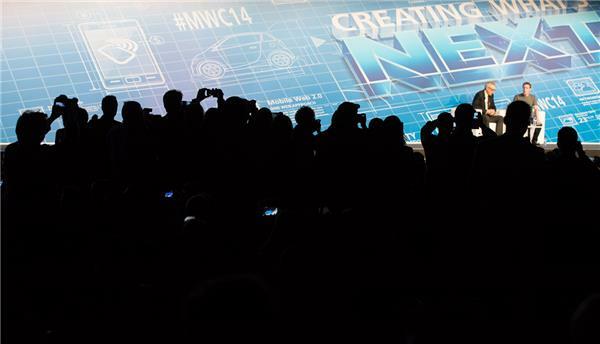 The smartphones came out in force to get photos of Mark Zuckerberg as he sat down. Plus, it needs some better appeal, so that people know what they're missing. 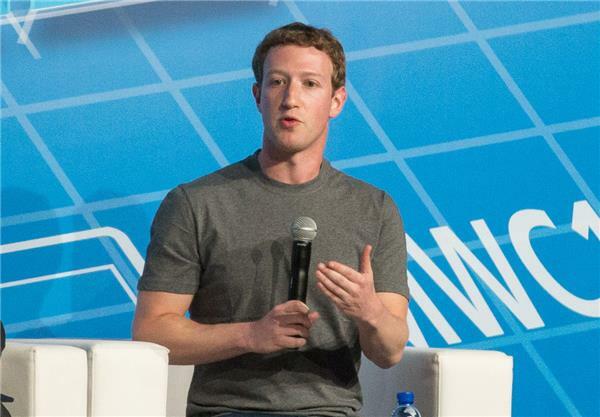 Zuckerberg wants to create an "on-ramp" to the internet. "We want to create a similar dial tone to the internet." He's referencing 911 -- basic services that you can get by phone, even if you don't have a phone plan. He's citing basic services like emergency warnings and the like, all text-based and very low data. And, they're portals to more content, thus encouraging people to explore the internet. "Reasons why you'd consume more data." "That answers the Catch-22 question," of how you get people online when they don't know why they'd want to get online. "This isn't entirely theoretical. We've been working with a bunch of the partners in internet.org building out some services and we have some really promising results." He's talking about the Phillipines working with Globe. The number of people using internet data there has doubled in the past year. "We delivered this product in partnership with them. There are free basic services." Free includes Facebook and Messenger, for now. Convenient. "Once we can make a profitable model that works for Globe and other folks that we're working with we think it'll be a pretty easy problem to solve to add other services like weather or food prices or Wikipedia." 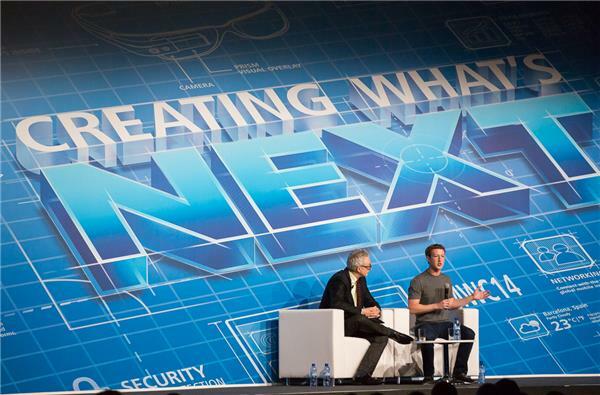 "We wanted to start with Facebook because we can control it and control the up-sales better," Zuckerberg says. "It's really early... but the early results are extremely promising." "What we want to do is find many three or five new partners who we can work with." Partners who can offer similar, limited services for free with up-sale to full data packages. Kirkpatrick is asking now how those partners will make money, and how the operators will as well. 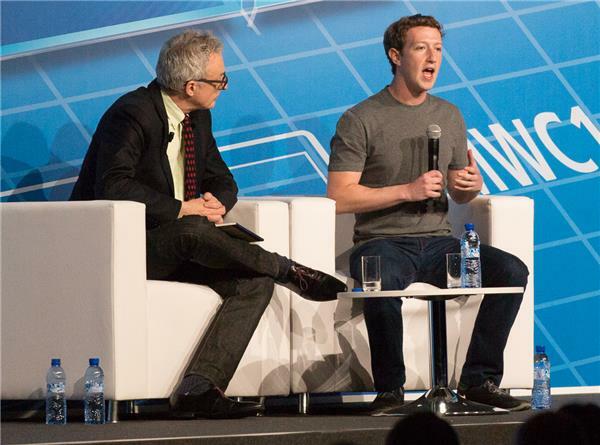 Zuckerberg: "Why do the next two or three people who are going to get on the internet not on the internet today?" "The reason why they're not on is because even though a lot of them have the money to afford it, they don't know why they'd want access to it."